Close out your Christmas holiday with some fresh and fabulous finds from our CAN authors! Coming January 8th from Dayspring, Sweet Tea For The Soul-Down Home Devotions to Comfort the Heart by Linda Kozar. A great way to kick off your new year with a taste of the south! Vickie McDonough also has a new release – Stained Glass Mandalas, a coloring book with a twist! Stained Glass Mandalas contains over 50 unique designs. It also features fascinating vignettes about the history of stained glass and interesting facts about tools, technique, and the glass used in creating the colorful projects. These optically engaging patterns stimulate the brain and induce creativity. An international team of 16 male and female scholars look afresh at vilified and neglected women in the Bible. The result is a new glimpse into God’s heart for anyone, male or female, who has limited social power. Fiction and Nonfiction Choices for Last Minute Gifts! It’s a busy season full of wonder, miracles, and–let’s be honest–at least a little stress! Gift cards are an easy option when we’ve run out of ideas or energy, but how about the gift of literature? After all, a book is like a present that you get to open again and again, right? Here are two new titles that have recently released from our CAN authors! release from M L Hamilton. onto a vital clue–and discovers someone is desperate to keep the truth hidden. When her life is threatened, she allows the one person she trusts to whisk her away to safety in Texas. But assuming a false identity and hiding among the quirky residents of a retirement home is not what she had in mind. Now, Elaine must solve the mystery from afar, as soon as she figures out if her friends is keeping her from danger…or keeping her from the truth. The newest book release of Kathy Collard Miller is Pure-Hearted: The Blessings of Living Out God’s Glory. 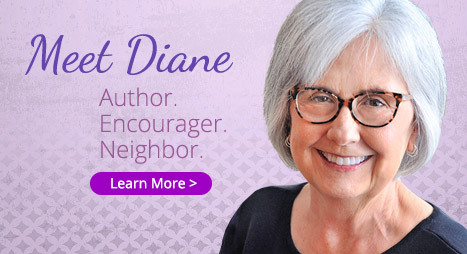 Her goal is to inspire Christian women to seek God’s glory with purified motives. Included are biblical principles, inspiring stories, and discussion questions.